Flood Risk: Here’s what homeowners can do! Homeowners are falling behind when it comes to protecting their homes from catastrophic events. As the frequency and severity of events increase across the country so should the preventative measures being taken by homeowners. This is especially the case when it comes to flooding. In fact, the number of homes uninsurable for flood risk is growing. With few opportunities for snow to melt this winter, a sudden transition to warm weather could increase the flooding risk according to Phillips. Weather conditions have changed quickly here in Southwestern Ontario. We are now seeing temperatures as high as 13°C, significantly increasing the risk of flooding in the area. 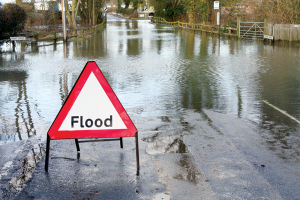 Why not take this opportunity to prepare your home for the risk of a flood?